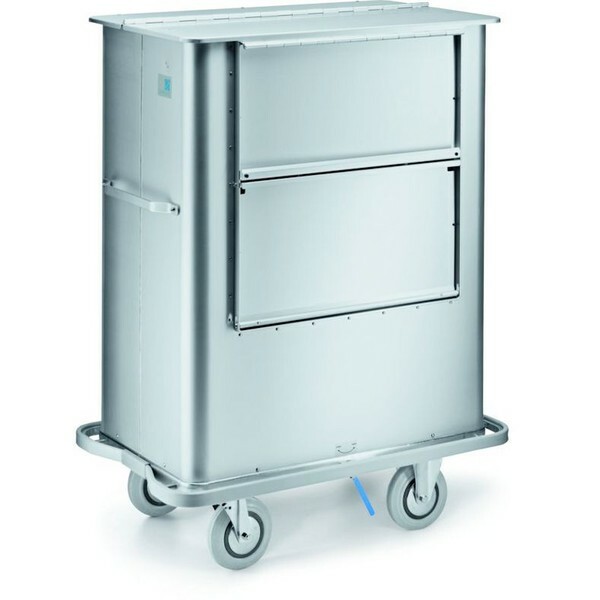 This useful wheeled trolley can be used to transport laundry such as bedding or refuse. It's anodised aluminium welded construction makes it both very light and strong. Plastic fenders and two fixed and two swivelling castors make it easy to steer. 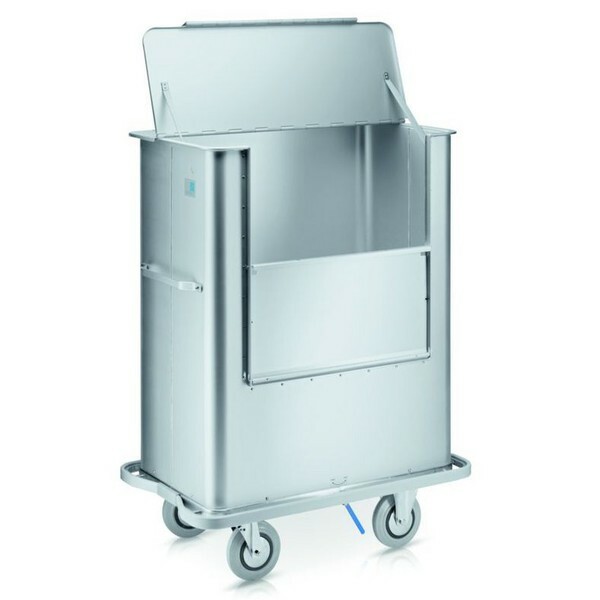 The trolley for a mulitude of applications, with a cover to protect items. 3-part lid folding lid and a front-panel flap. Sturdy jacket and base metal. Welded, base joint sealed all round. Corner-mounted, Ø 200 mm, 50 mm wide, easy running, rubber wheels, “non-marking”, roller bearings, thread guards.